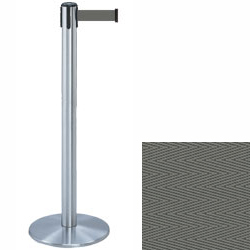 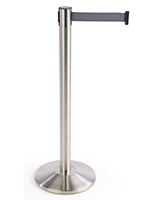 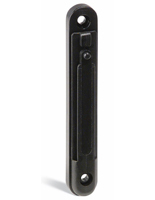 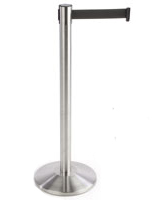 These silver stanchions with gray belt are made of durable metal and feature a sleek chrome finish. 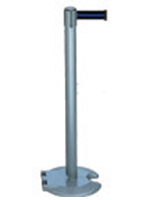 The stands come with a retractable strap that measures 7.5' long and 2" wide. 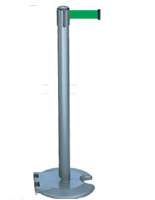 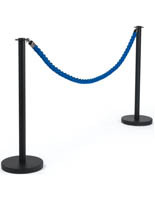 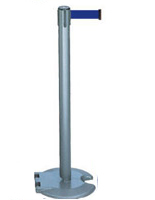 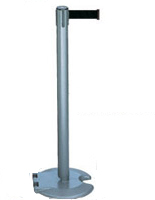 In addition, the silver stanchions feature a round weighted base that makes them ideal for crowd control in high traffic areas. 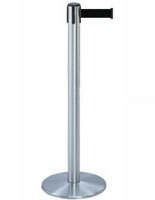 These posts are also available in other finishes and with different colored straps.